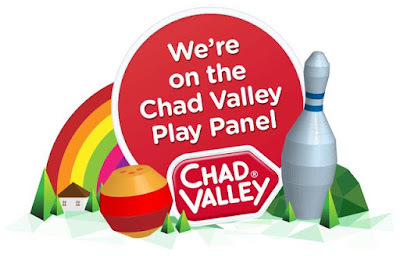 We're on the Chad Valley Play Panel & You could #Win a £75 Argos Gift Card Prize to Celebrate! I'm so excited to announce that Mummy Of 3 Diaries are now on the Chad Valley Play Panel. Growing up playing with Chad Valley toys myself, this means a great deal to me. We often visited our local Argos store at Birthday's and Christmas Time to pick a toy or two. The Chad Valley toys were always affordable and good value for money when I was growing up and still are today. There's over 400 toys to inspire and delight your children and mine. They're sure to spark imaginations, fuel their creativity and enchant their play times. Chad Valley toys are only available at Argos and come in a range of styles, choices and styles. Chad Valley toys are not just for babies and young children as we're going to show you as my youngest child is 6 years old and my eldest is 13, it's going to be a really fun. To celebrate our new role we've added a new badge to the blog and have a whopping £75 Argos Gift Card to give away to you, one of my very lucky readers. I'm so excited for you! Terms and Conditions: This competition is open to the UK only. One winner will be drawn at random on November 13th. The winner will be contacted using the email they enter with. This prize is being supplied by Argos as we are now part of their Chad Valley Play Panel. No I don't think I had one. Yes, I had a a set of Sooty and Sweep puppets! My parents had them stored in their lost until about five years ago, when they gave them back to me for my two girls! I washed them out and my girls loved them! I don't recall having one. I think I had a Chad Valley Teddy bear. I had to go and remind myself of what they made and YES! I even remember playing with Lotto which was my Mums and from the late 1930's I think we still have it in the loft. My toys however and I had loads were the Smurfs - even had the LPs hahah! I remember buying them, they were such great value. I don't remember having any Chad Valley toys, but they were a very small business when I was a child! No I did not have any as I grew up in France. I had a chad valley spinning top! I'm sure I did but can't think what one it was!